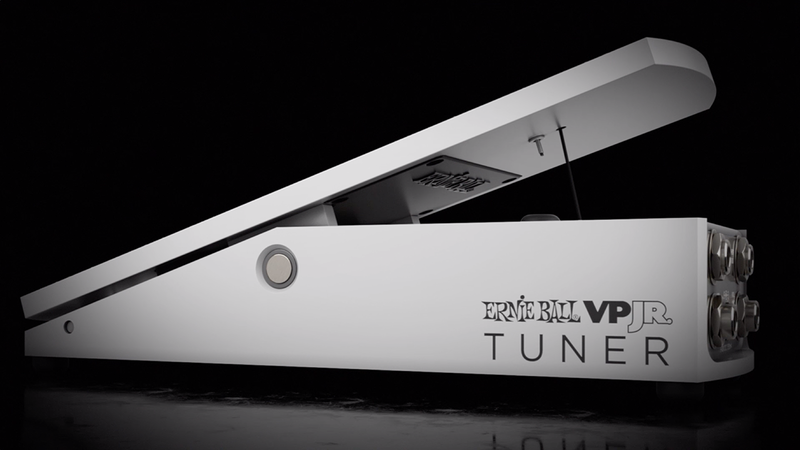 Introducing the all-new Ernie Ball VPJR Tuner. 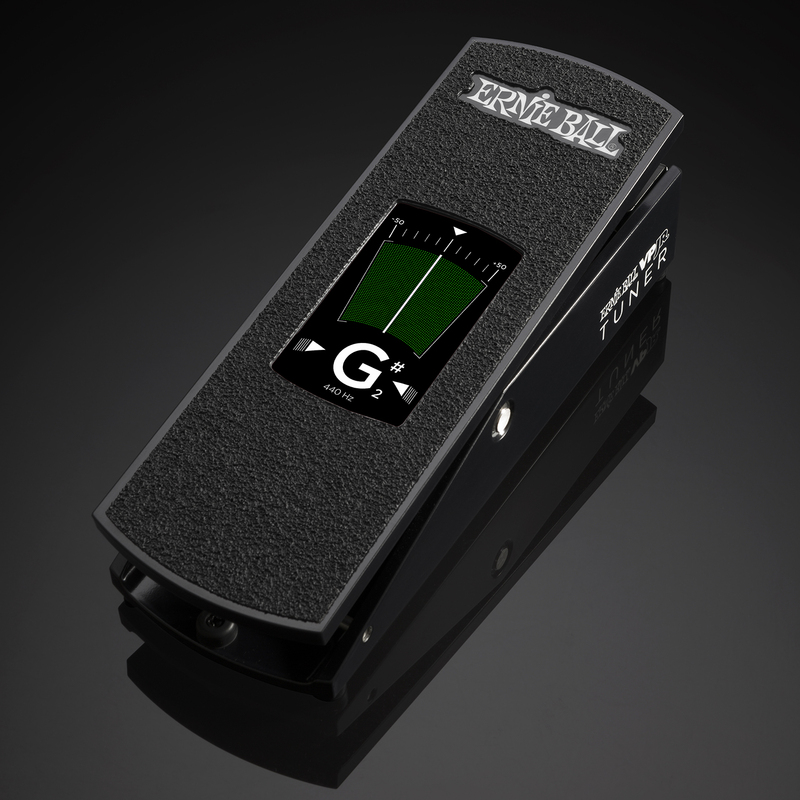 The VPJR Tuner is the perfect combination 2-in-1 pedal offering precise volume control with an enhanced definition digital tuner. 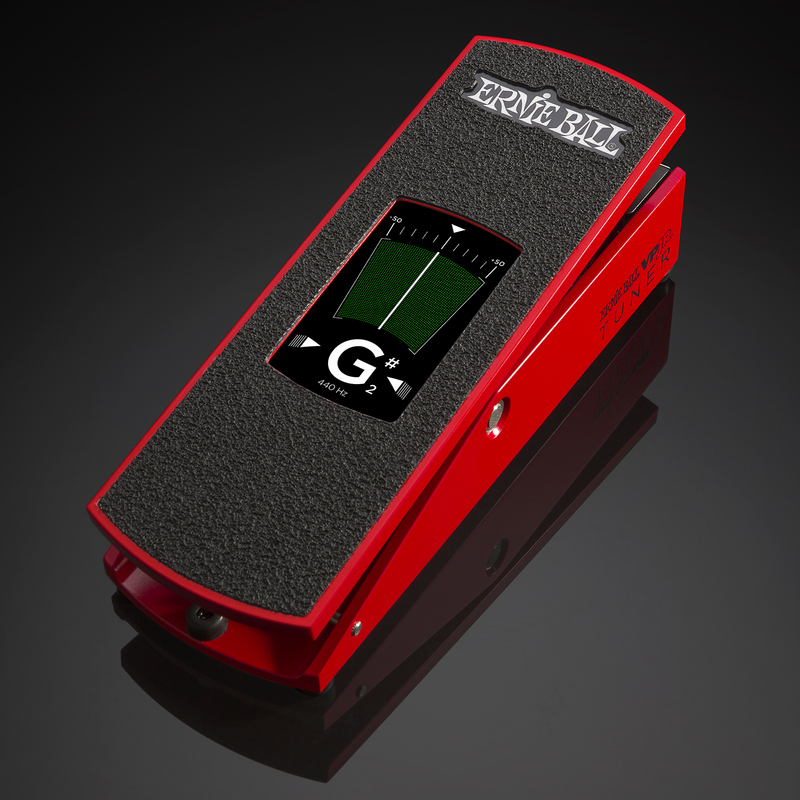 The pedal features a fast and accurate chromatic tuner with graphic volume display that is visually attractive and easy to operate. The large display automatically switches between tuner and volume modes depending on the signal level, allowing the player to tune at minimal volume. Other “always on” configurations are accessible by double tapping the touch screen. 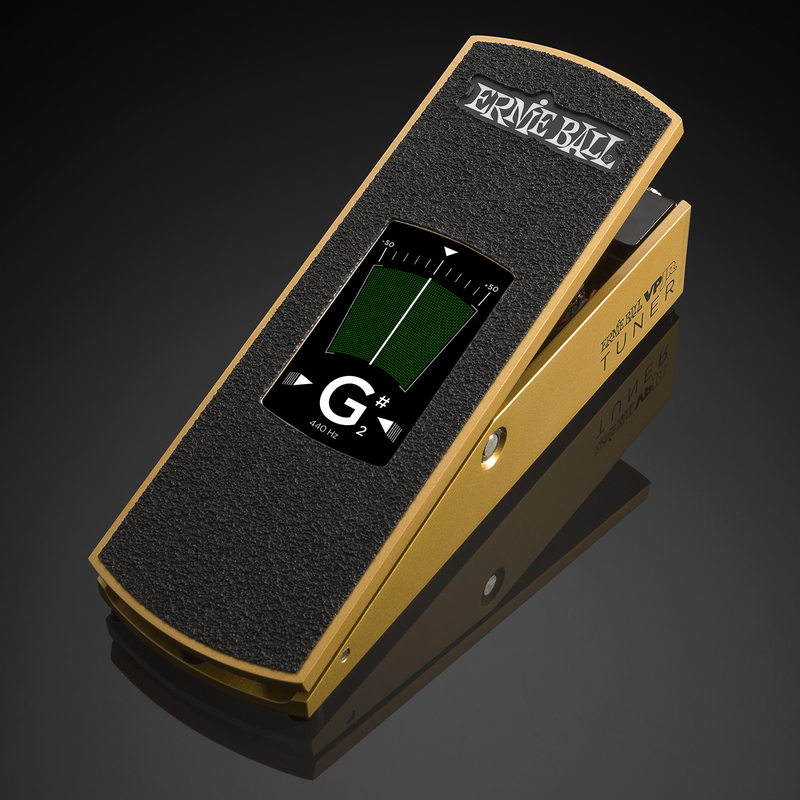 The tuner can also be calibrated to a variety of ideal reference pitches. The pedal’s compact, rugged design consists of an aluminum housing, and features a stronger, more durable PVC coated Kevlar cord ensuring consistent tension throughout the foot sweep. Combined tuner and active volume pedal saves space, power, and signal routing on pedal boards. 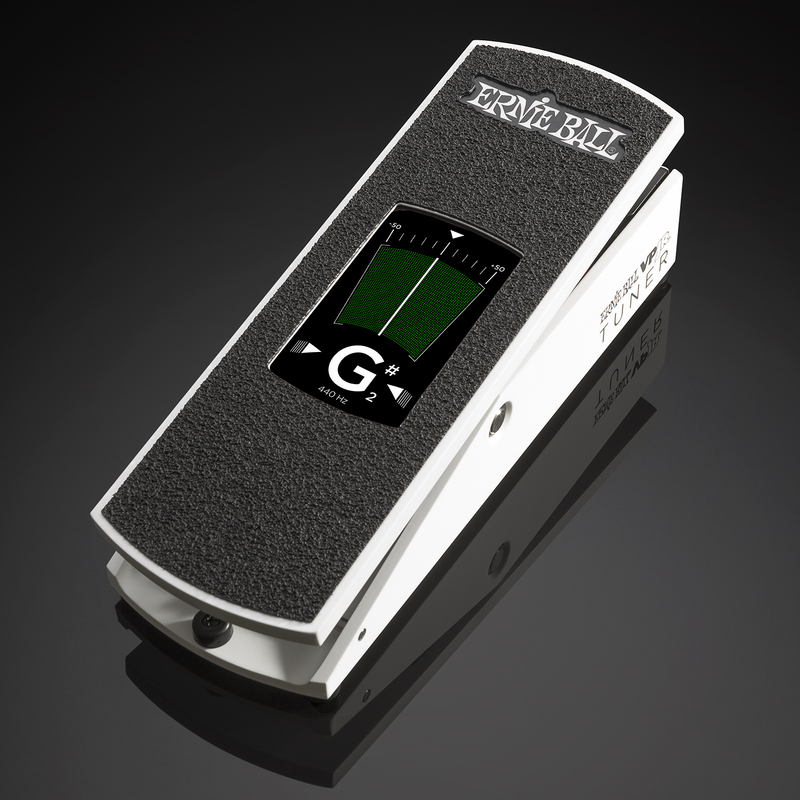 Fast and accurate chromatic tuner and graphic volume display. Intelligent display activates tuner mode at minimum volume, and a graphic volume readout when signal is present. Treadle can be routed as a gain control or as a master volume control. Discrete buffer circuit with no tone loss through any signal chain. Stronger more durable PVC coated Kevlar cord. When is this expected to be available? When does the new VPJR tuner petal become available to buy? When will it be available? I need one ASAP! When is this going to be released, and will there be one for active instruments? Hands down my favorite thing announced at NAMM!